Named after Maxwell Tylden Masters [1833-1907], a British physician-botanist. Shrub or small tree with small, alternately placed leaves and long petioles. Most parts glabrous. Leaf margin slightly toothed, leaf with 5-8 pairs of secondary veins. Flowers in racemes, white. Fairly common in secondary forest as well as at the forest edge. Up to 1500 m elevation. 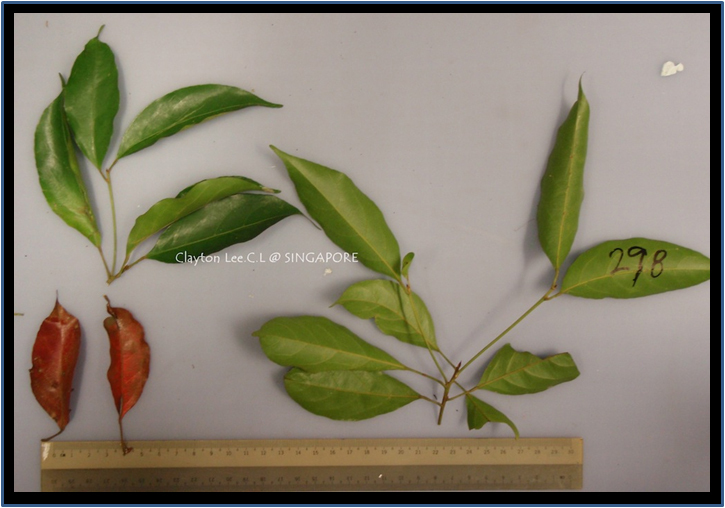 In Peninsular Malaysia, leaf poultices of E. mastersii are used to treat headache. English: Small leaved oil tree.